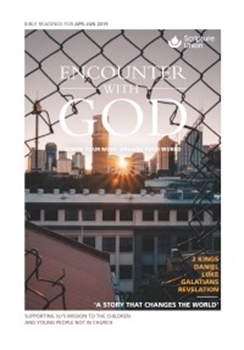 ~Encounter with God is Scripture Union's daily Bible reading guide designed to lead you to a deeper understanding about what God is saying to you and to his world today. Youâ€™ll find its thorough and energetic investigation of the whole Bible inspiring and stimulating. And youâ€™ll discover that its biblical exposition is complemented by pastoral warmth from a strong field of writers and contributors. As well as daily content, feature articles provide insights into Christian spirituality, tackle contemporary issues, and profile teachers who inspire.